Click on the image to access the publication online. From the Site: This memoir "follows the author through forty years, revealing how he selected vocational pursuits guided by his understanding of intrinsic motivation and transformative learning. As a compass for relevant decisions, these ideas gave energy and purpose to how he lived, and an instinct as sure as sight for the future. Written with nuance, humor, and unpredictability, this story renders how he came to appreciate learning for the pleasure of learning. Facing similar challenges as those of today’s first generation college students, the memoir narrates his unexpected college enrollment, his friendship with an ancient history professor, and his triumphs and travails as teacher, psychologist, human relations specialist, psychotherapist, and adult educator." From the Site: "This book is the classic interdisciplinary reference on adult education, updated for today's learning environment. 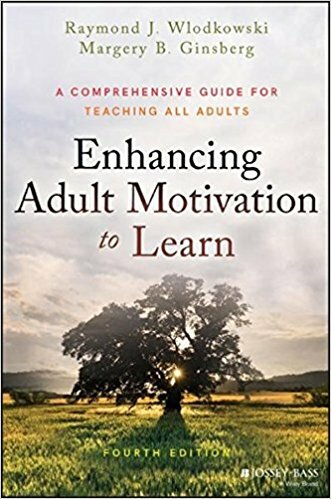 Enhancing Adult Motivation to Learn provides adult educators with the information and strategies they need to guide non-traditional students toward positive educational outcomes. Providing a clear framework, guidelines for instructional planning, real-world examples, and cutting-edge ideas, it fills the need for intrinsically motivating instruction targeted specifically toward adults returning to school. This new fourth edition sharpens the focus on community colleges, where most first-generation college students and working adults begin their higher education. And, as a central feature, explores the rising use of technology and alternative delivery methods including a new chapter covering online instruction." From the Site: "In this comprehensive resource, Raymond J. Wlodkowski and Margery B. Ginsberg describe how to meet the challenge of teaching intensive and accelerated courses to nontraditional learners and working adults. By making motivation and cultural relevance essential to instruction, they clearly show what instructors can do to enhance learning in classes that can last from three to six hours. 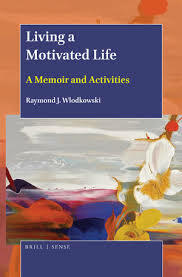 Teaching Intensive and Accelerated Courses makes full use of the authors' twenty years of experience researching and teaching accelerated courses, along with selected strategies from Wlodkowski's classic Enhancing Adult Motivation to Learn, to offer tried-and-true practices instructors can use to provide continuously engaging learning." From the Site: "This revised and updated second edition of Diversity and Motivation offers a comprehensive understanding of teaching methods that promote respect, relevance, engagement, and academic success. Margery B. Ginsberg and Raymond J. Wlodkowski base their insights and concrete suggestions on their experiences and research as college faculty. The book defines norms, illustrates practices, and provides tools to develop four foundational conditions for intrinsically motivated learning: establishing inclusion, developing a positive attitude, enhancing meaning, and engendering competence. The authors provide perspectives on the social justice implications of each condition."